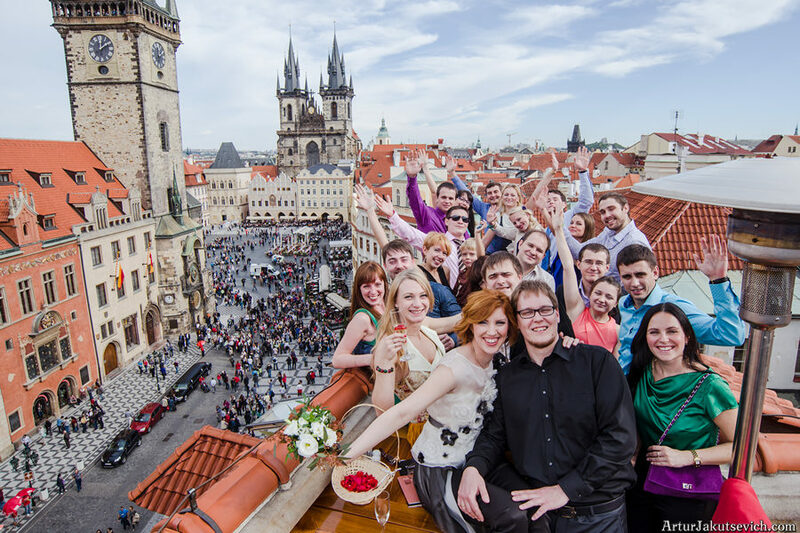 Wedding in Prague: how to plan? My dear readers and friends, since I’ve been involved into various projects under the title Wedding in Prague, I have some interesting information to share with you. First of all I will be pleased to give a piece of advice to brides and grooms looking for a reliable person to plan the marriage in Czech Republic. I will also share my thought about the most attractive venues in the city where you can have your marriage arranged. And of course approximate figures and budgets will also be mentioned. 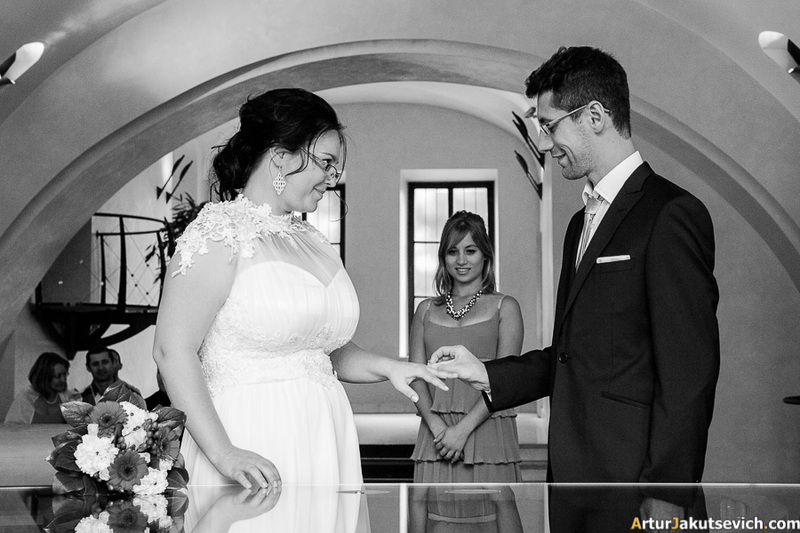 I sincerely hope that my knowledge will help you to plan a perfect big day in Prague. According to the number of couples married in Prague, my personal experience and observations I managed to create a rating of most popular wedding venues in Czech Capital. In the article I shall cover only the locations that are in Prague. I emphasis this fact, since there are hundreds of other cities and castle in this country, where they organise destination weddings and elopements. The Old Town Hall in Prague located in the very heart of the ancient city to my mind should be considered as one of the wedding symbols of Prague. Marriages take place in the Town Hall very often, especially during the weekends in the period between April and October. But even in winter when the weather is not the best for outdoor photo shooting, there are quite many brides getting married. What is so special about the Old Town Hall (Staroměstská radnice)? 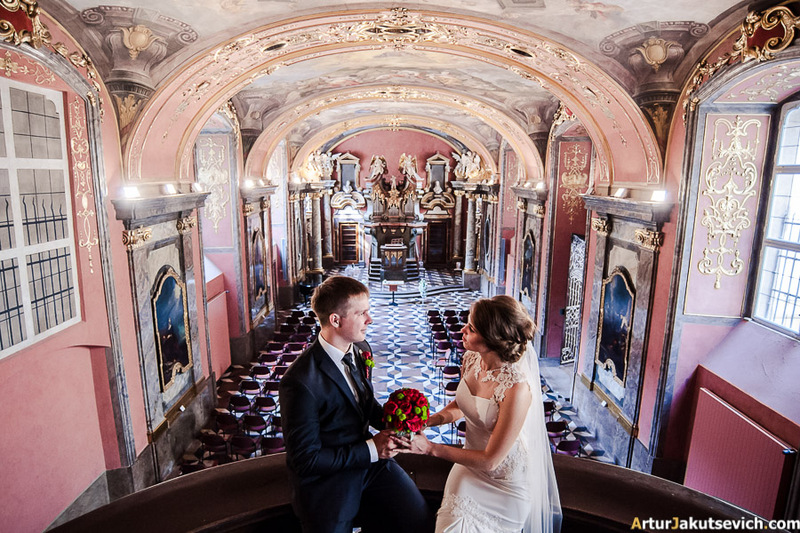 First of all it is an extremely beautiful venue with quite romantic and traditional Czech ceremony, which can have either a symbolic or official character. The procedure takes place a roomy hall with music and champagne. The basic price for a wedding in the Prague Old Town Hall start from about 1000 Euros for a little marriage just for two of you with no other options included. Here is a nice example of a marriage in this location. 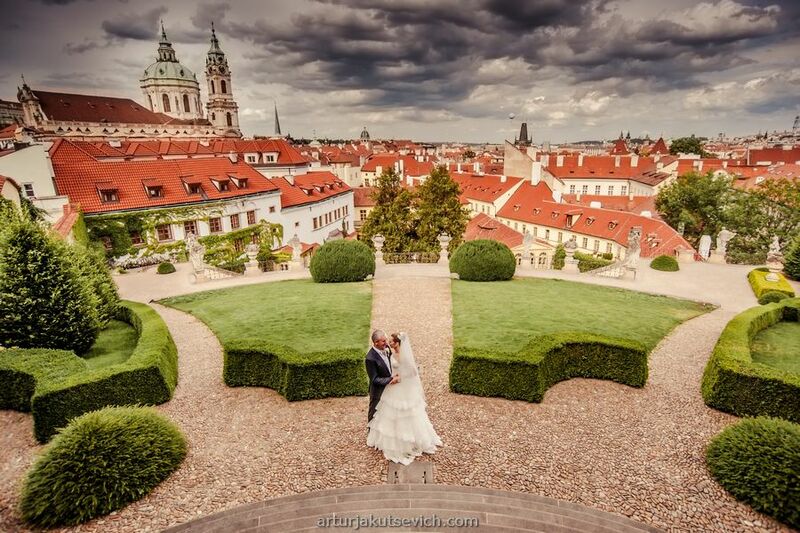 Prague is quite reach on wedding venues especially exclusive ones. Among such I would mention Vrtba Gardens. This is an open air location with super romantic ambiance and absolutely unique landscape. To feel the beauty of the place one has to be there. So that you fully understood what is this garden about, I should say that my own big day was meant to take place there, but at the very last moment we switched Czech Republic to Italy. According to the latest information I have the starting point for the price are at the level of 2000 Euros. Another fantastic place where I was happy to present as a Prague wedding photographer is Klementinum. The place has huge and very fascinating history, which you are sure to learn and love while getting ready for the either official marriage or elopement. I would only tell you that this place is closely linked with ancient science, it has astronomic tower and unique middle age library. Unlike the Town Hall, Klementinum has enough space for big weddings with number of guests more than 100 people. And the price starts from 2000 Euros. But again, all the details should be discussed.